Cosentino the Grand Illusionist Review If you were a die-hard follower of Cosentino during his Australia’s Got Talent journey you’ll certainly find some enjoyment while viewing The Grand Illusionist. For those who haven’t heard of him, your levels of skepticism surrounding the art of illusion will rise. I’ve always found the art of illusion intriguing and impressive, yet I feel watching a pre-recorded stage show ruins some of the mystery, thus making Cosentino: The Grand Illusionist a bittersweet viewing experience for me. While the former Australia’s Got Talent runner up undoubtedly has a unique talent that many other illusionists wish they possessed, this home release showcasing sections of his live show and his street acts unfortunately ruins some of the magic through staged interviews and unnecessary addition of content. 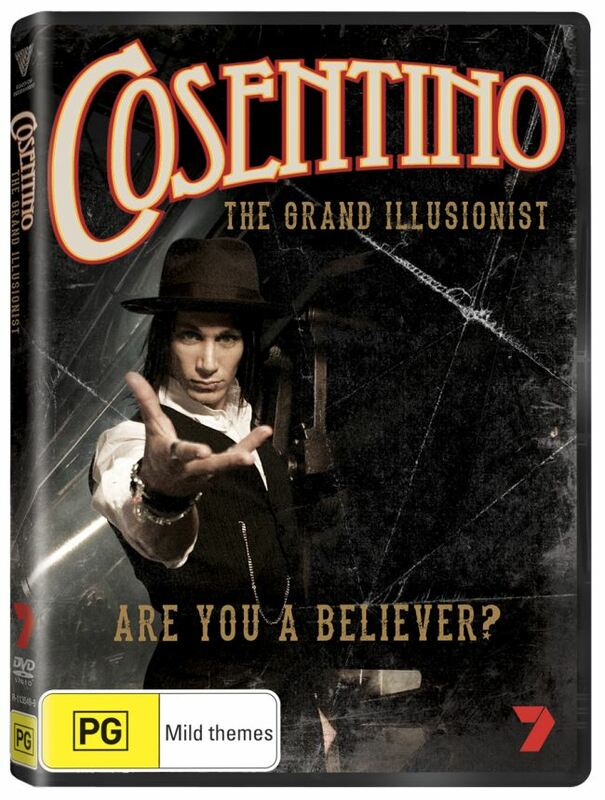 The Grand Illusionist isn’t particularly long; this 43 minute long feature mainly focuses on the highlights from Cosentino’s live stage show at the Regent Theatre in Sydney while throwing in some of his street acts every now and then. A better focus on either of the two would’ve been preferred, as the short run time doesn’t allow you to get fully involved or excited about either of them, and before you know it the main feature is over. Luckily the special features make up for some of it, however I’m confused as to why they weren’t included as part of the main feature to begin with. While his magic is certainly impressive it’s hard to believe its authenticity from merely watching a DVD. There’s plenty of cuts between cameras in scenes which Cosentino states that parts of his trick are in plain sight the whole time, yet watching it on this documentary this is not the case. During the street magic scenes the reactions from his audiences are far from believable, and some of the tricks are even less believable, such as Cosentino’s ability to guess what someone has written down on a piece of paper without being shown what it is. It’s not mind reading like he claims; it’s having the ability to follow someone’s writing patterns while also having the ability to edit out any attempts that failed. If you were a die-hard follower of Cosentino during his Australia’s Got Talent journey you’ll certainly find some enjoyment while viewing The Grand Illusionist. For those who haven’t heard of him, your levels of skepticism surrounding the art of illusion will rise.